1. 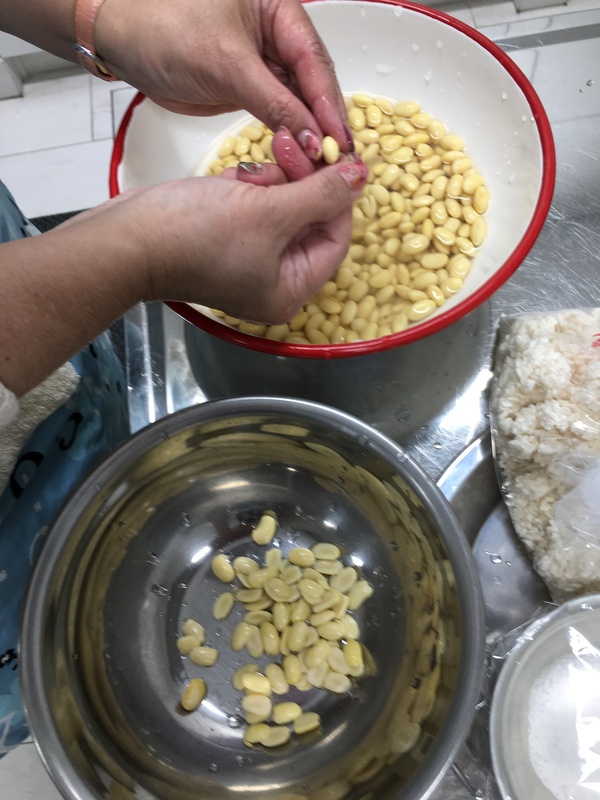 Rub the soaked soybeans with the palms of your hands to split them. Doing this will loosen the skin. Remove the skins and discard them. 2. 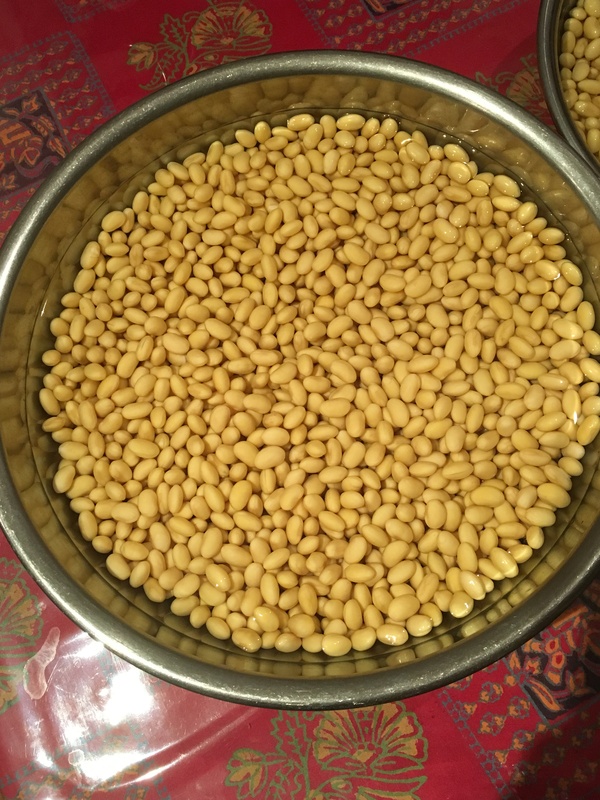 Boil the soybeans in plenty of water for 1 hour, or until you can easily mash a bean between your fingers. 3. 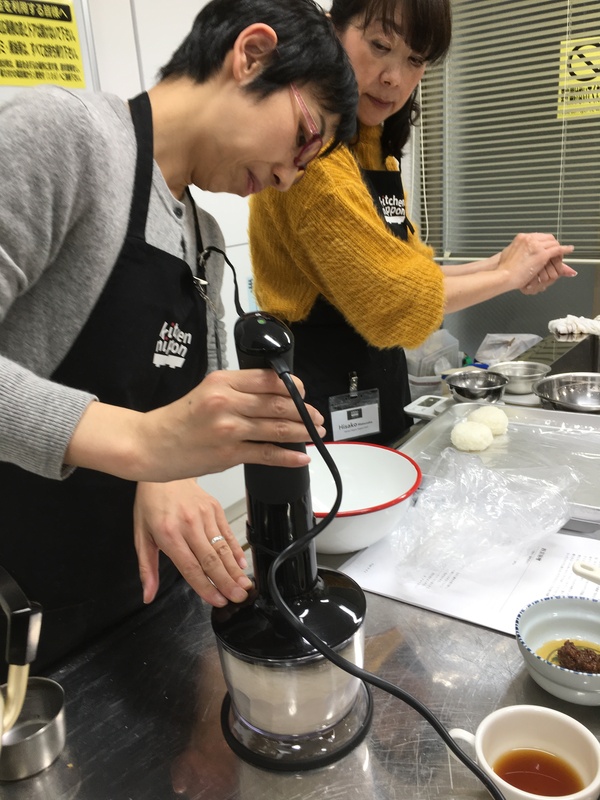 While the beans are cooking, use a food processor to break the nama kōji down into very fine pieces. Mix in the salt. 4. When the beans are done cooking, drain off the water and then use a food processor to turn them into a paste. Do this while the beans are still warm. 5. 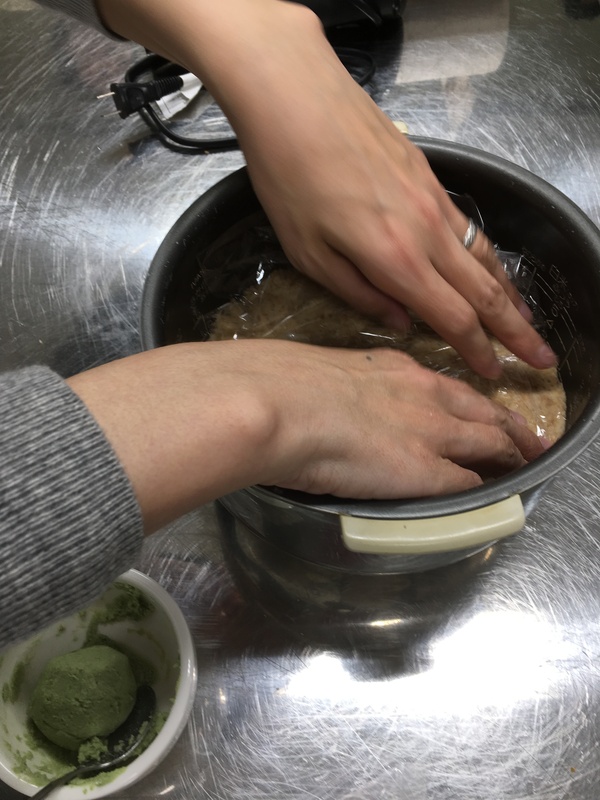 In a mixing bowl, combine the nama kōji and soybean paste. Use a rubber spatula to mix these well. Add the boiling water and mix well. 6. 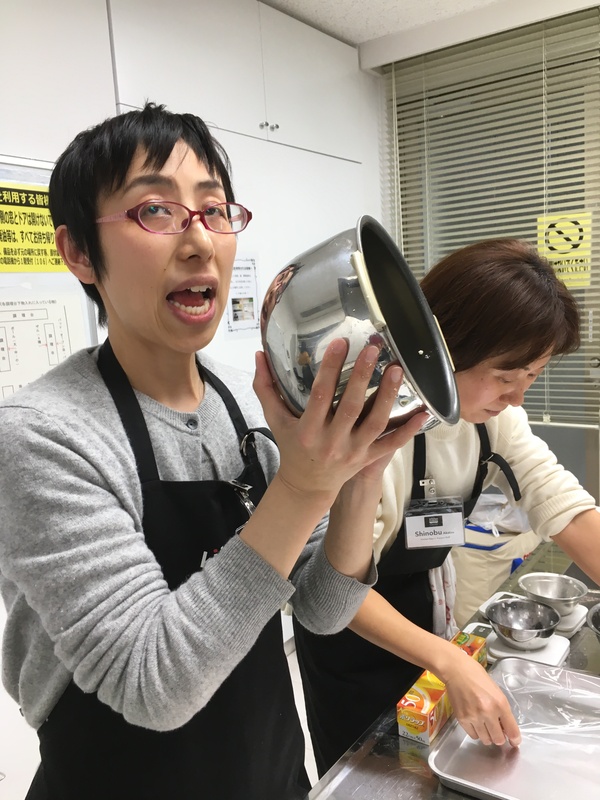 Transfer the contents of the mixing bowl to a rice cooker and level off the top. Place a dampened paper towel directly on top of the bean paste/koji mixture. Cover the open pot with a sheet of aluminum foil. Leave the pot open and set the cooker on “warm” (保温, ho-on) for 8 hours. At the end of 8 hours, mix the contents of the pot well. 7. Transfer the contents of the pot to a storage container. Let the container cool to room temperature and then cover it and put it into a refrigerator.